People ask me all the time what work is being done that I find exciting. Honestly it’s a little harder than it used to be. The simultaneous emergence of cloud infrastructure providers and mobile hardware created a cambrian explosion of innovation that now feels like it’s settling out. The work done in this video is a huge counter-example though. It’s a couple of years old now but I still find myself referring to it often enough that it’s worth creating a pointer to it. 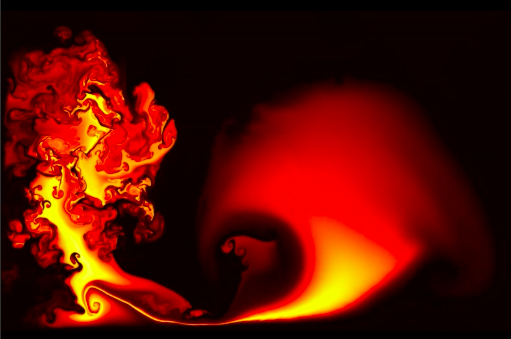 Computational fluid dynamics which is the use of simulation for physical systems that involve fluids has traditionally been very hard. Your choices were either a low-fidelity model which did not map to reality well or a higher fidelity model which takes months on thousands of cores to simulate. The folks at SpaceX have found a way to create a fractal representation of CFD meaning that the parts of the simulation where interesting things are going on are modelled at high resolution and the parts where nothing interesting are going on are represented at low fidelity. The model adjusts as the simulation progresses and the whole thing is tuned to perform well on GPUs like those sold by NVIDIA. The video is 50 min long but well worth it for those technically inclined. There is also a higher level article describing the work. If you just prefer the eye-candy, there’s a video of that too.